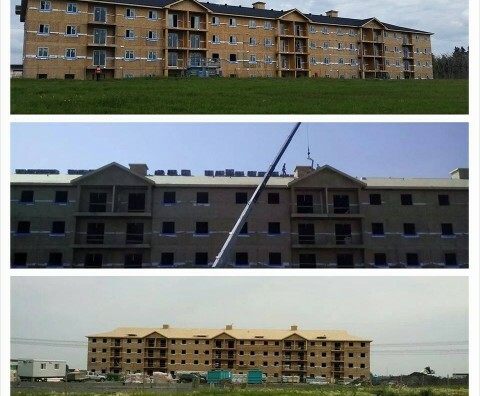 Considerations When Planning A Multi Family Exterior Renovation And Roofing Project A multifamily exterior renovation and roofing project is much more complicated and also considerably more demanding than exterior renovation or roofing of an ordinary home. A single family home or even a commercial property has a certain set of challenges but they are much easier to handle. Multifamily or strata properties are difficult to attend to due to their size, design, the uniqueness of the infrastructure and the nature of the job at hand. Roofing a large area is always more difficult but such properties don’t have commercial roofs which are easier to do on large scales. Multifamily roofs will be similar to normal residences but over a much larger area. Along with that, there is exterior renovation and repairing of all potential and existing problems. To ensure that you have a desired level of renovation and roofing and to be certain that you will like the eventual result, you must take these following considerations while planning. You must always hire a company that has extensive experience in multifamily exterior renovation and roofing projects. Check out the portfolio of the company and find out about the properties that the company and its staff have attended to. If you cannot find any reference to such properties or projects, then you should keep looking. When you do get a company that specializes in such expansive projects, you must also find out the specific projects that were similar to the one you have. The training received by the manpower, the number of people working on the project and how the company manages to put together the team are very crucial elements of multifamily exterior renovation and roofing projects. You must ensure that the company doesn’t hire any subcontractors or seasonal workers. They will be untrained and that would be counterproductive for the objective.